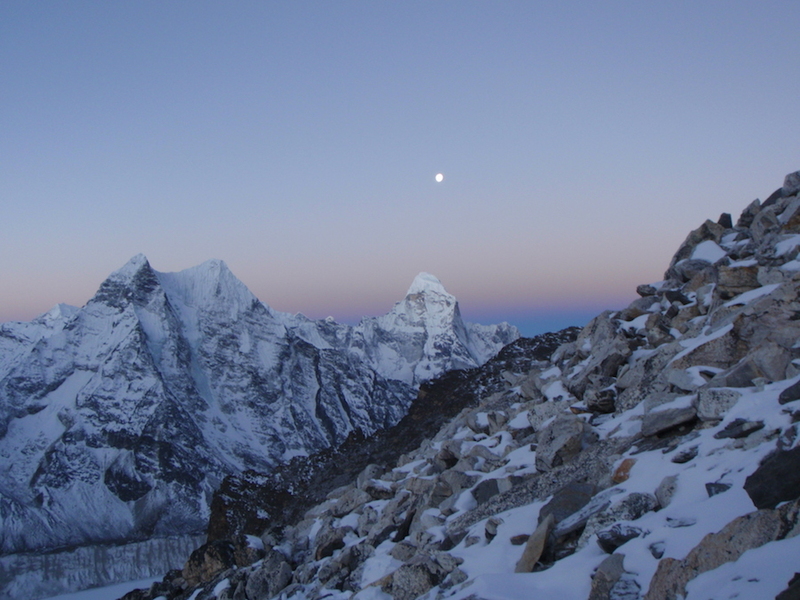 The adventure starts in Lobuche, early in the morning on Day 10 of the expedition. 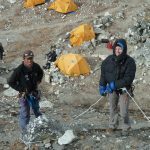 From here, we cross the Khumbu glacier across a relatively well established path to the scree slope leading to the Kongma-La, the high pass between the western and eastern forks of the Khumbu valley. 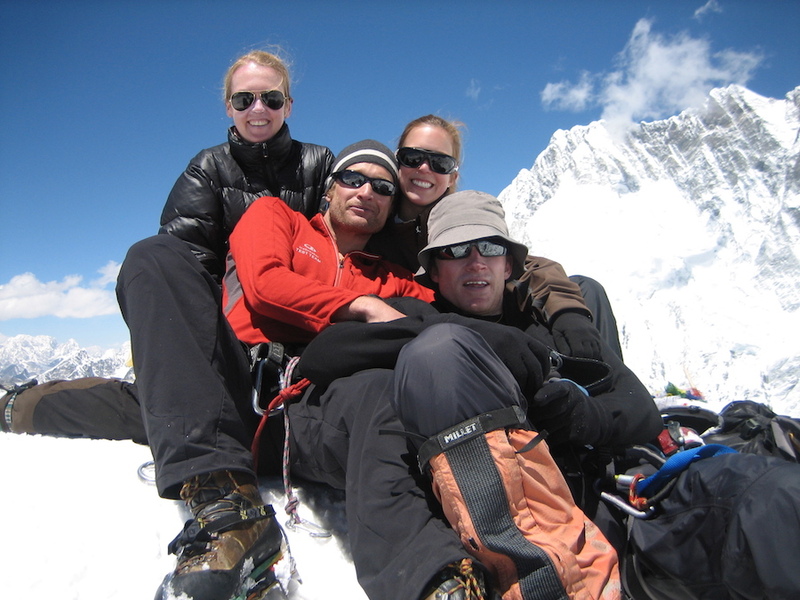 The pass stands almost as high as Kala Patthar, at 5535m/18,159ft. 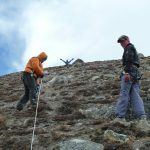 It is an interesting ascent to the pass, starting on dry grassy banks, becoming a gravelled, meandering trail and finally finishing as a traverse across a boulder field. 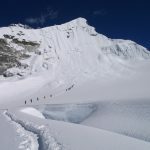 Once there, we’re rewarded with the most fantastic views of both Lhotse and Makalu (4th and 5th highest mountains in the world respectively) as well as deep blue glacial lakes and the tempting peak of Pokalde to our right, standing at 5806m/19,048ft. 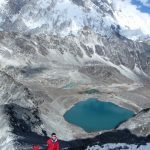 Although we don’t generally have enough time to climb this mountain, there is nothing stopping those keen enough and with enough energy, to take a few steps up its slopes, to gain yet more incredible perspectives of the surrounding vista. 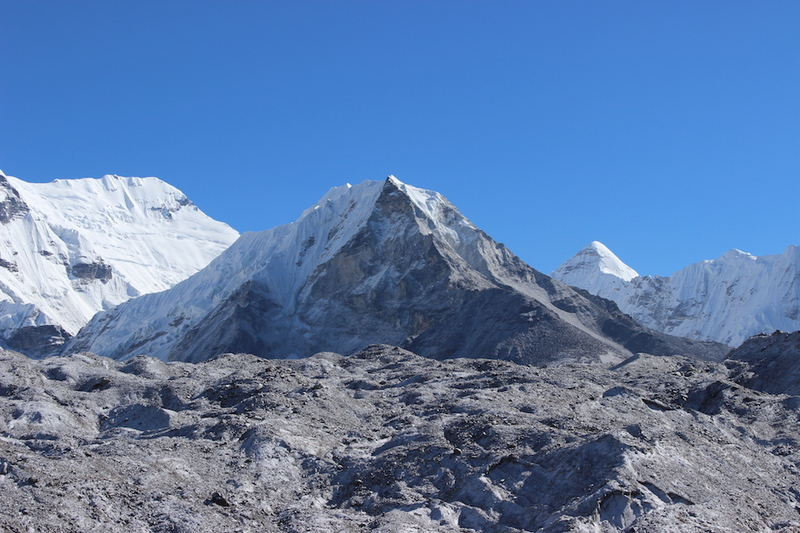 From the Kongma La we descend towards Chukhung, standing at 4730m/15,518ft. We should eat and sleep well after all the day’s endeavours, which could take between 7 – 10 hours to achieve! 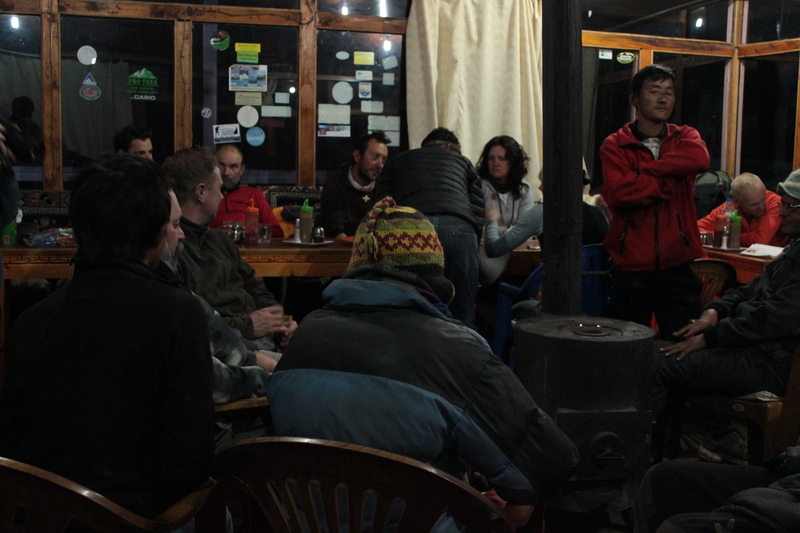 Day 11 (rest day and climbing practice) – A day of rest is much appreciated, and Chukkung provides clean, comfortable accommodation where you can even get a warm shower. 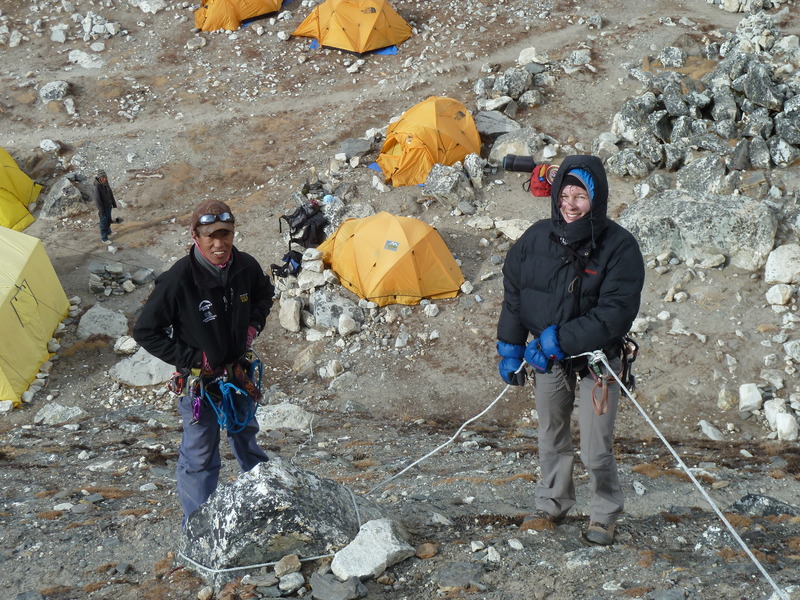 In the morning, we’ll collect and size the rental climbing gear required for the climb. 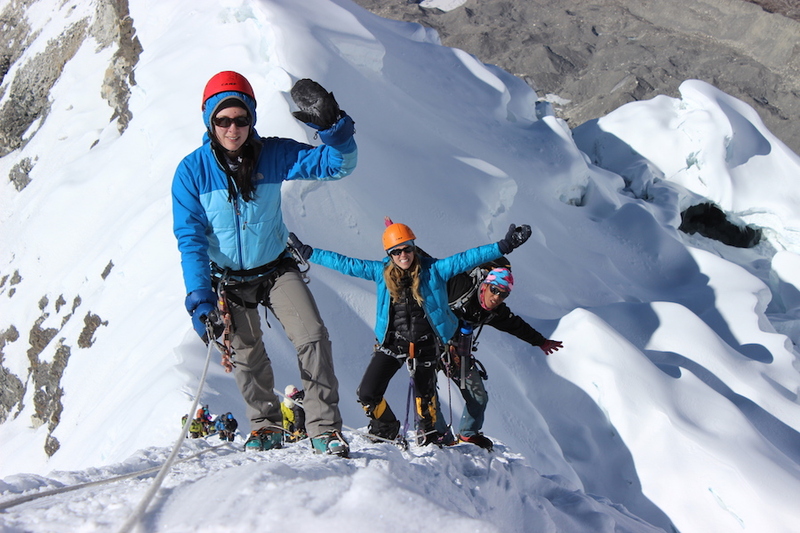 During the afternoon, we’ll go through the basic skills required for safe glacier travel, ascending fixed lines and of course, how to abseil back down them. 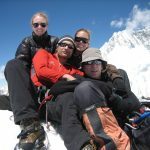 We’ll be able to provide you with the skills and confidence required to move safely on the mountain the following day. 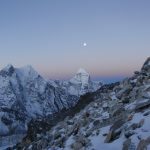 Day 12 – we make the move to Island Peak Base Camp mid-morning. 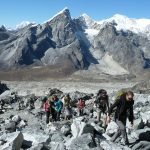 The route to Base Camp is interesting, on easy going ground, with some small undulations and sandy areas, before finally arriving at camp. 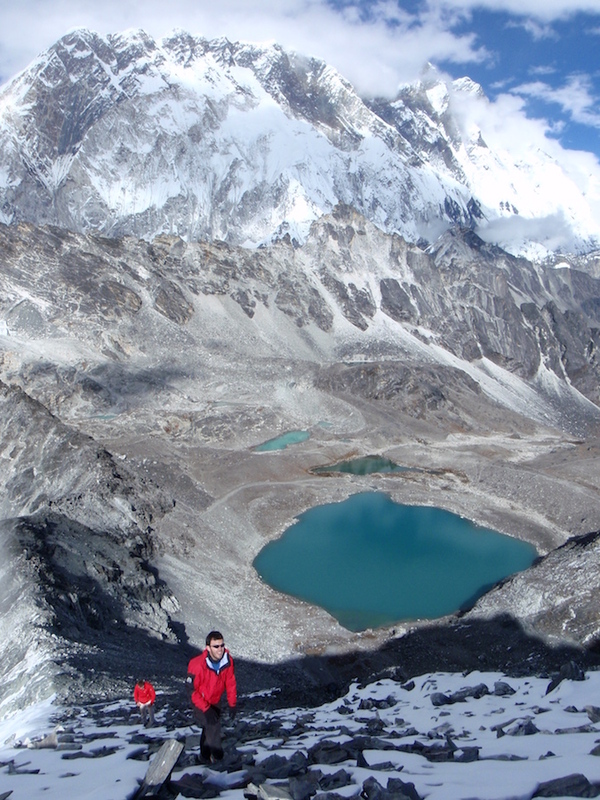 We use the main base camp at 5080m/16,666ft. 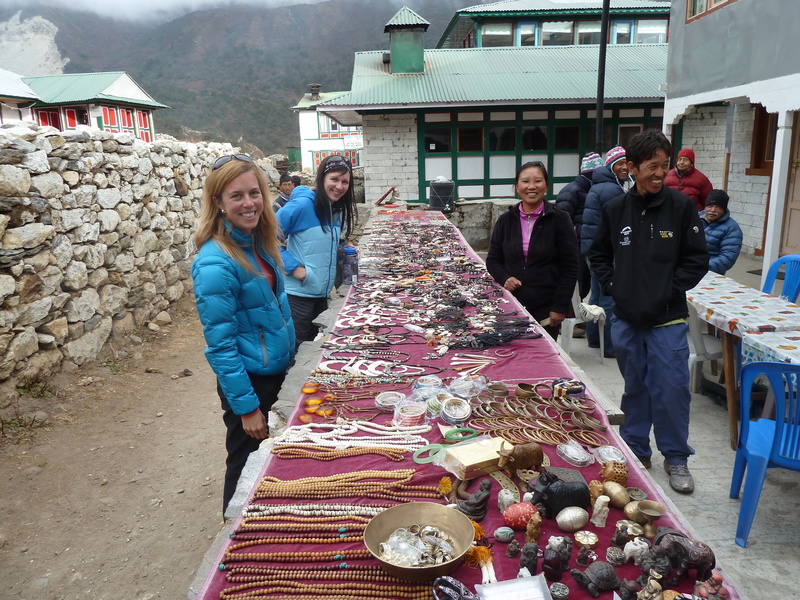 Ang Nuru and his Sherpa team will set up our tents and start cooking food and boiling water for hot drinks. 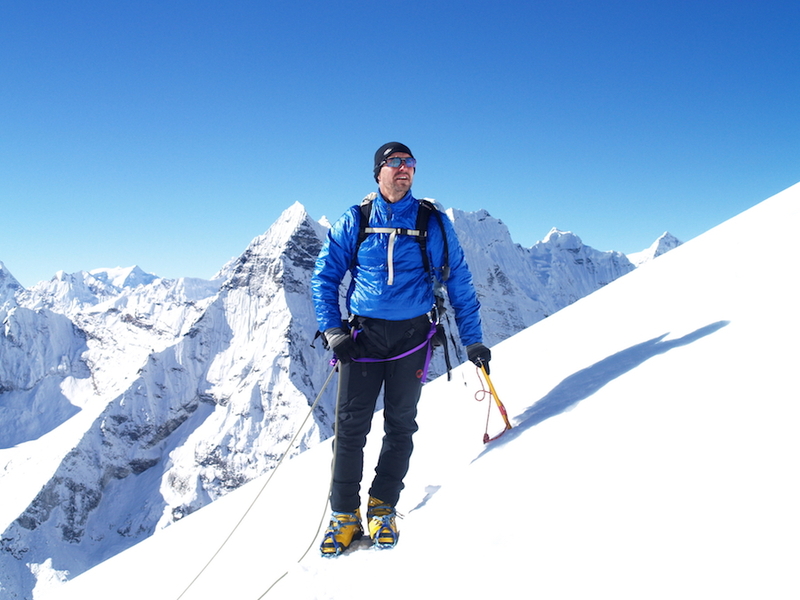 After a late lunch, we’ll ensure that everyone’s gear is ready for action – this includes harnesses, ascenders (jumars), crampons, boots and ice-axes. 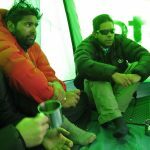 After an early supper comes an early bedtime and the anticipation of a summit attempt may keep your heart thumping well into the early hours! 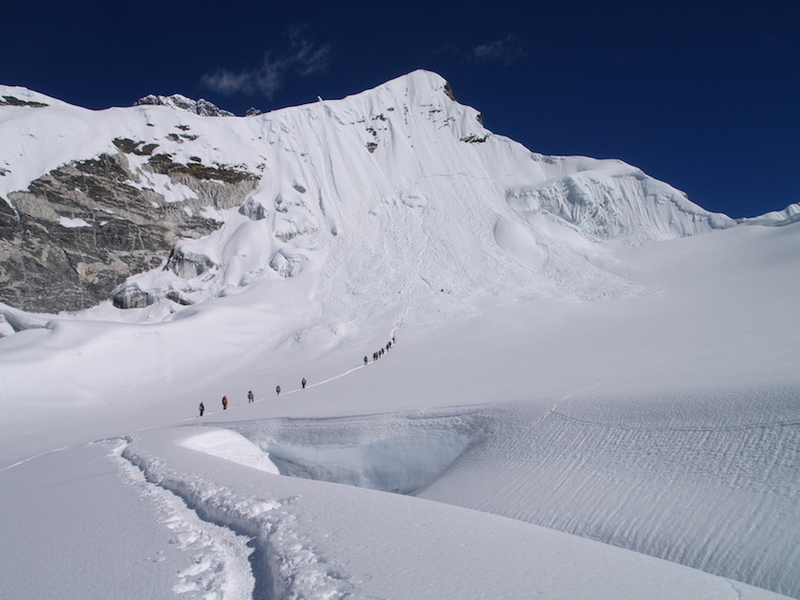 The move from Chukhung to base camp takes between 3-5 hours, with an altitude gain of 350m/1148ft. 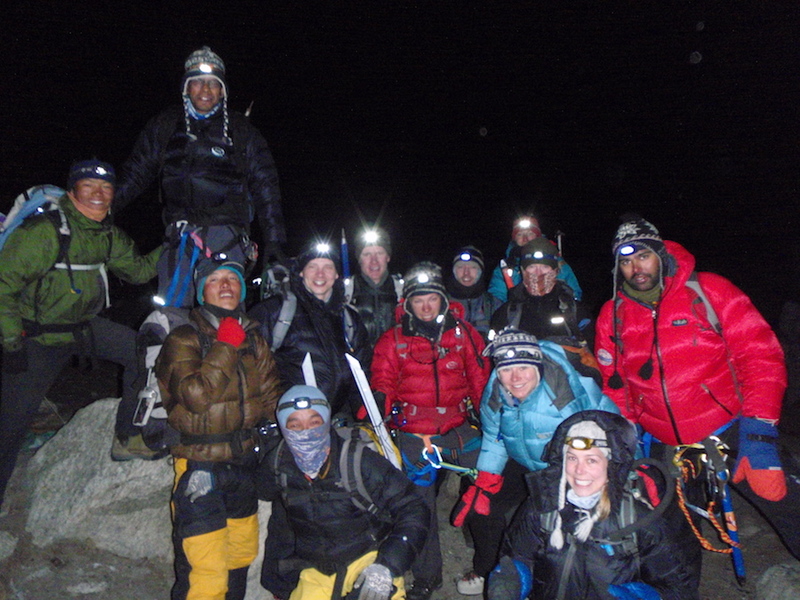 All food, drink and snacks for the summit attempt will be supplied by Ang Nuru’s Sherpa team. 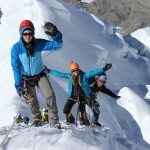 And remember, the cost of doing Island Peak includes the rental of any technical climbing gear that you may not have (see the dates and prices page for full details). 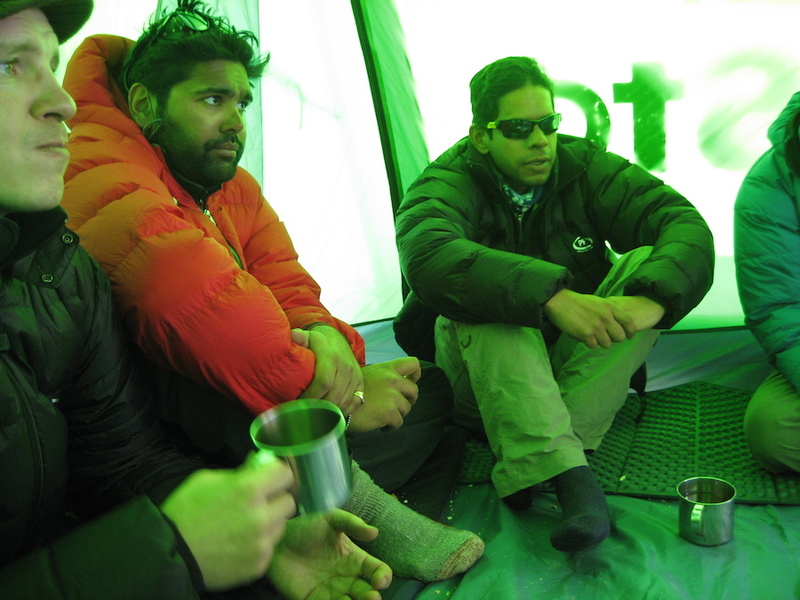 Day 13 – wake-up call at around 00:00, with breakfast and hot drinks at 00:30. We’ll aim to leave camp by 01:00 or earlier. 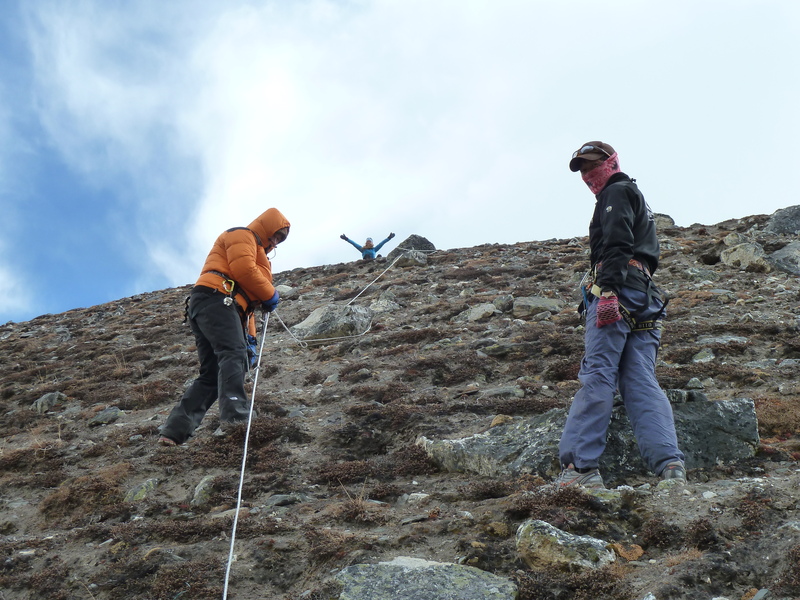 We then make our way up the rocky slope via a switch-back trail to the crampon point and the glacier. 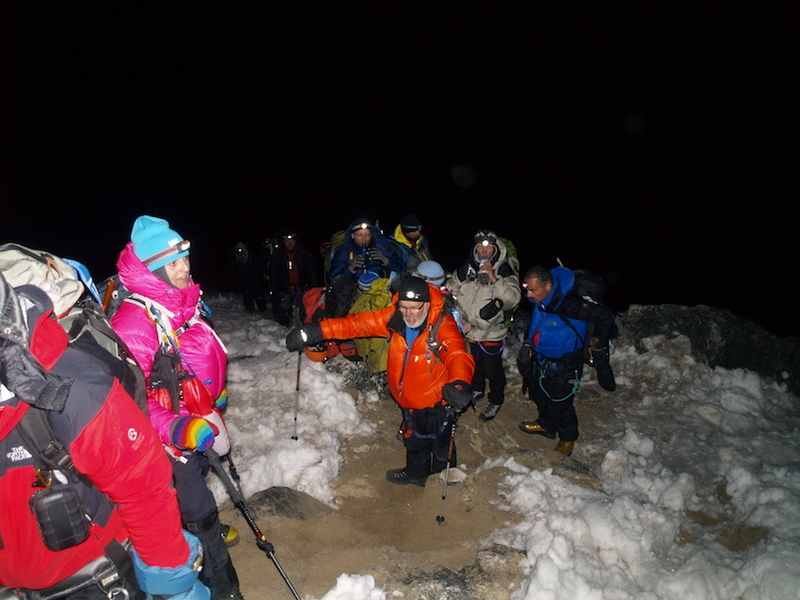 This part of the climb takes between 4-6 hours and sees us move from walking by torchlight, to the advance of the morning sun and its energising effects. 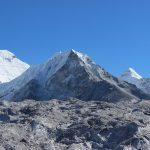 You’ll have great views of Makalu, Ama Dablam and the Imja Tse Glacier on our way up (weather dependent) which will inspire you to continue. As the sun’s rays hit you, the realisation of what you are doing and of what you are about to achieve will start sinking in. Wow! 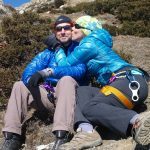 Rob, Kev, Ang Nuru, MK and additional Sherpa(s) will be constantly checking on you during the ascent to make sure that all is well. 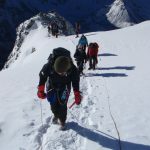 Depending on the numbers of members attempting this climb, there will be a minimum ratio of 1 guide to 3 members, although in general, we work to a ratio of 1 guide to 2 members, giving you, we hope, a justifiably elevated sense of security, which is our aim. 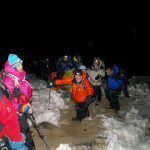 At crampon point, we organise ourselves in to rope-teams and put on crampons – and make the 2 hour push to the final obstacle on the mountain – the headwall. 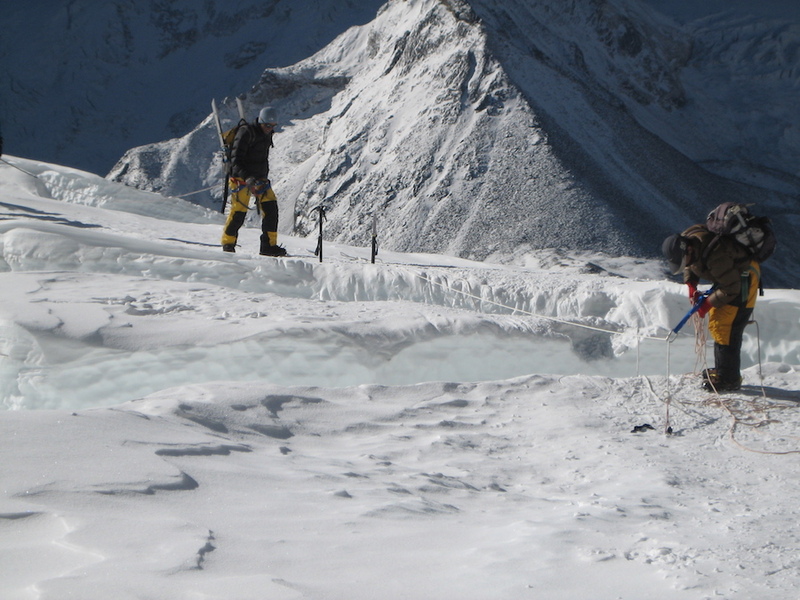 Depending on previous expeditions, there may or may not be fixed lines for us to ascend. 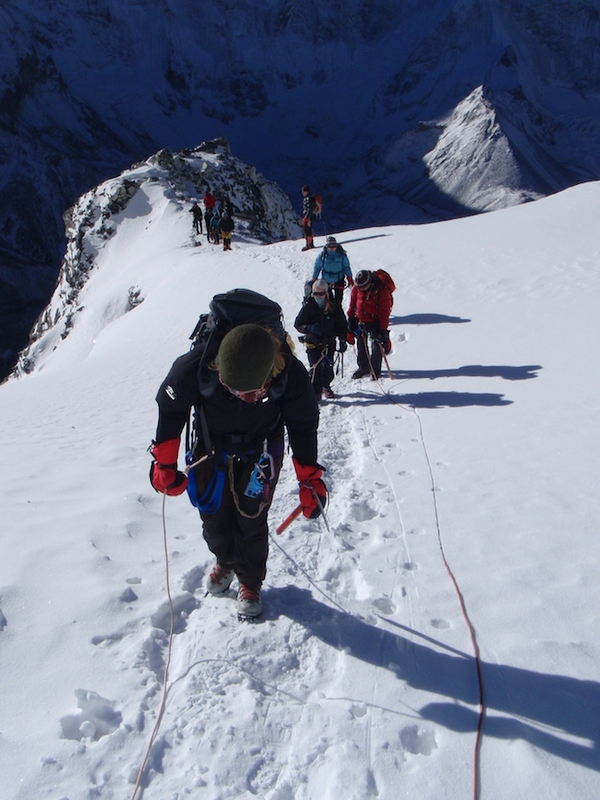 If there isn’t any line, our Sherpa team will go ahead and fix the line that you will use to hopefully take you to the summit. 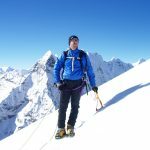 The incredible, exposed final summit ridge, although safely fixed, will certainly give you a sense of what high-altitude is all about and will prove a test of mind-over-matter. Remember, anyone can do this, but this is the moment where psychology starts playing its role. If you’ve made it this far, then you’ve got what it takes physically, but as with so many things in life, psychology counts too. 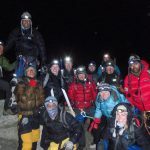 We’ll be on hand to coax you through those more challenging moments and hopefully we’ll all be standing on the summit by mid- to late morning. 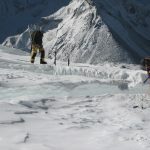 A careful descent should see us back at Base Camp by mid to late afternoon. 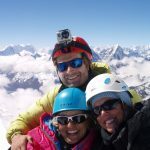 A challenging, yet extremely rewarding day! It’s there for the taking and we feel that we can offer you the right ingredients for success. 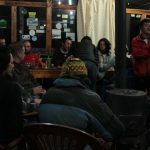 Supper in the mess tent on our return and most people will crash out in their own tents (2 people per tent) soon after. The day will take around 12-16 hours total. 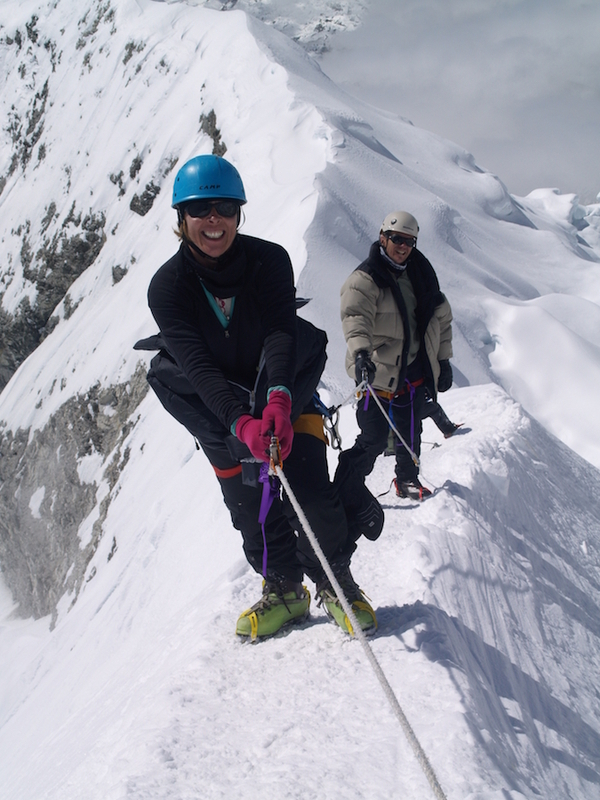 Although not for the faint-hearted, it’s a spectacular achievement and one where most people succeed. 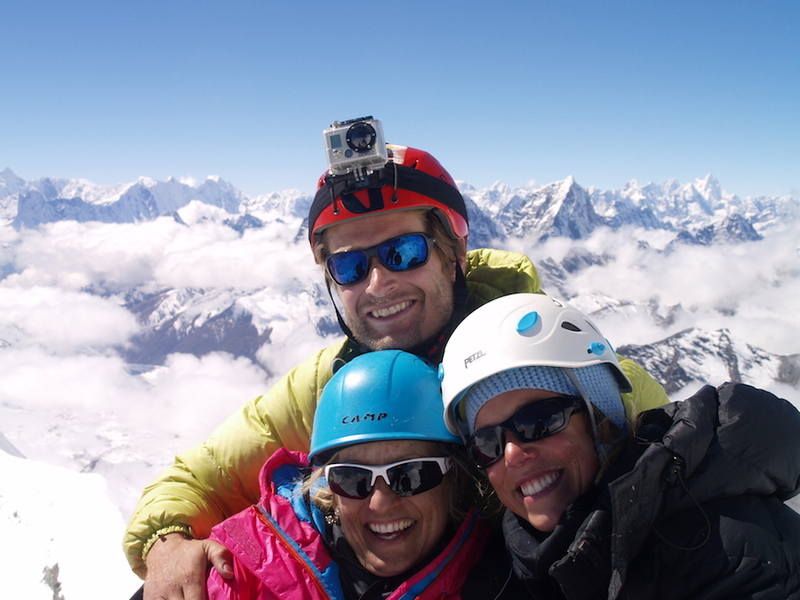 Day 14 – a well-deserved lie-in, breakfast and then departure. 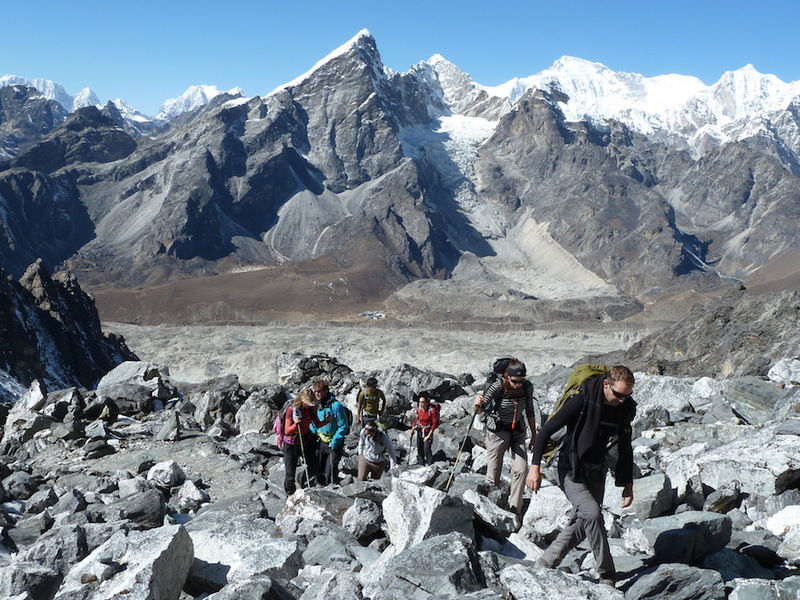 When the team is ready to head out, we make our way back down valley through Chukhung, then Dingboche and finally to Pangboche. The whole day, including stops for tea, will take 4-5 hours. 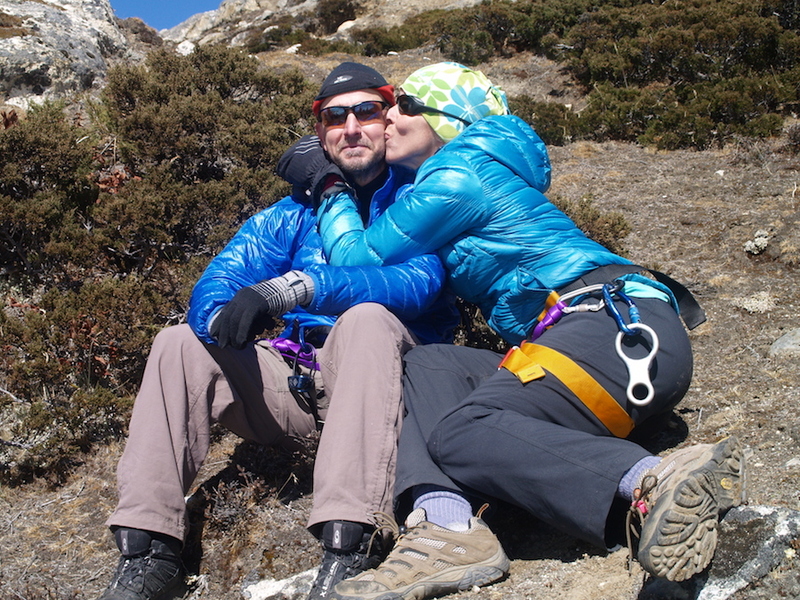 Celebratory beers await us at Sonam lodge, where tales will be regaled and the thoughts of a comfortable bed and more exotic food in Kathmandu will be occupying our thoughts more and more! 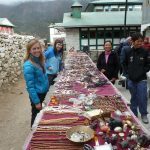 Day 17/KTM 3&4 – Lukla to Kathmandu with 2 nights in the hustle and bustle of the capital and of course a much deserved massage!